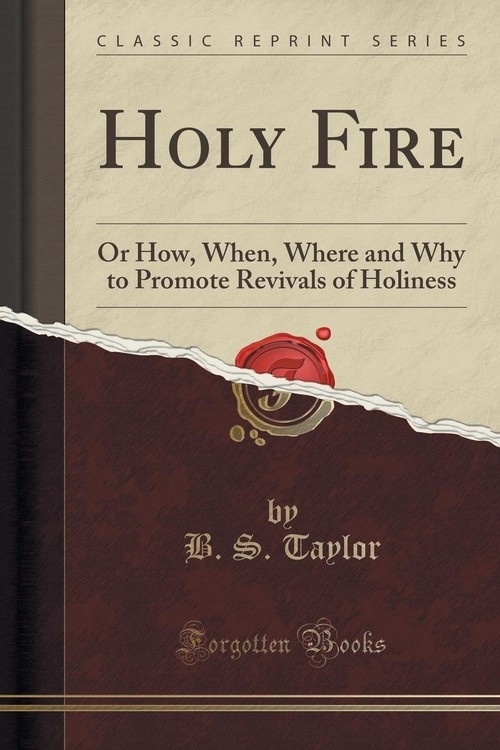 Opis: Holy Fire - Taylor B. S.
And the Lord went before them by day in a pillar of cloud, to lead them the way; and by night in a pillar of fire to give them light; to go by day and night. He took not away the pillar of the cloud by day, nor the pillar of fire by night; from before the people. - Ex. xiii; 21. For I, saith the Lord, will be unto her a wall of fire round about, and will be the glory in the midst of her. - Zach. ii; 5. And the fire upon the altar shall be burning in it; it shall not be put out: and the priest shall burn wood on it every morning, and lay the burnt offering in order upon it: and he shall burn thereon the fat of the peace offerings. The fire shall ever be burning upon the altar; it shall never go out. - Lev. vi; 12.
Who maketh His angels spirits; His ministers a flaming fire. - Psa. civ; 4. Szczegóły: Holy Fire - Taylor B. S.
Recenzje: Holy Fire - Taylor B. S.